Established in Sweden in 1934, Stiga has more than 80 years of experience in innovating consumer products. According to its tradition and demanding Nordic climates, all their products are high in quality and excel in performance. They are well known for the quality and reliability of its lawnmowers, front cut ride ons, lawn tractors and garden equipment. 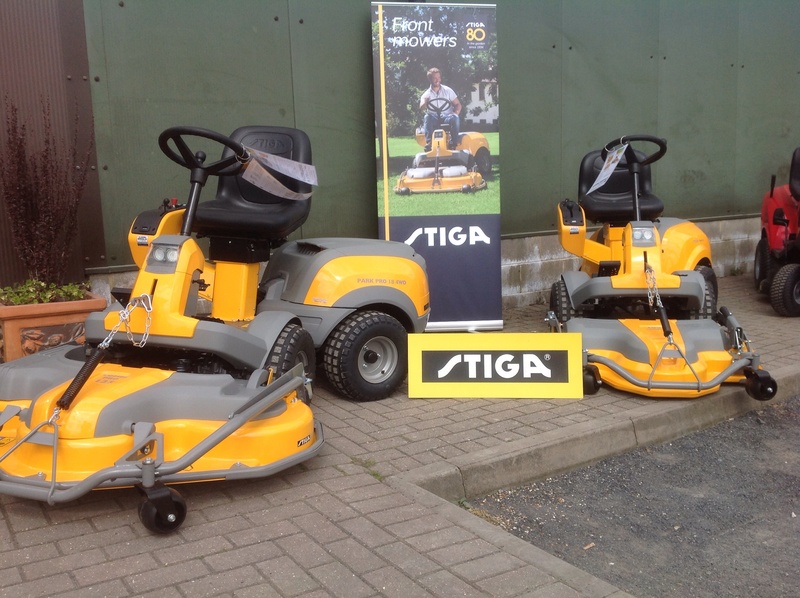 The Stiga name has been associated with lawnmowers, garden tractors, and ride on mowers for over 80 years. Buy from us with confidence at competitive prices with the after sales support you would expect from a leading manufacturer and distributor. All their garden machinery is delivered fully assembled and made ready for use. Their products have comprehensive manufacturer’s warranties (the period varies according to the model), which give you peace of mind and protect your investment. When you buy a Stiga you are buying a quality machine that will provide you with years of service and reliability. Stiga have a petrol lawnmower to suit every garden, from our dedicated mulching Multiclip machines, Their great value Combi models that mulch and collect, up to our premium performance Turbo and Excel models with powerful Briggs & Stratton and Honda engines, large cutter decks and a host of features to help you efficiently maintain larger areas of grass. Their front cut machines are fantastic flexible tools. With articulated steering, the rear wheels follow the front, making them extremely easy to use. For the smaller garden the Park 120 and 220 models offer outstanding value for money. For larger areas the Park range of 2WD and 4WD machines can also use a variety of implements making them extremely versatile tools. Superb driving comfort, great handling, high performance led headlights – no not a sports car, an award winning Stiga ride on tractor! From the heavy duty dedicated mulching or side discharge Tornado 9118 XWS that has been given the Red Dot design award to the versatile Estate Pro 9102 XWS that was recently given a Best Buy Award from BBC Gardeners World Magazine. Step into an exciting new age of garden care with Stiga Voltage – the powerful 80-volt range of tools. The range includes lawnmowers, brushcutters, a hedge trimmer, blower vac and chainsaw, all powered by the same 80 volt battery delivering petrol equivalent performance with all the benefits of cordless.